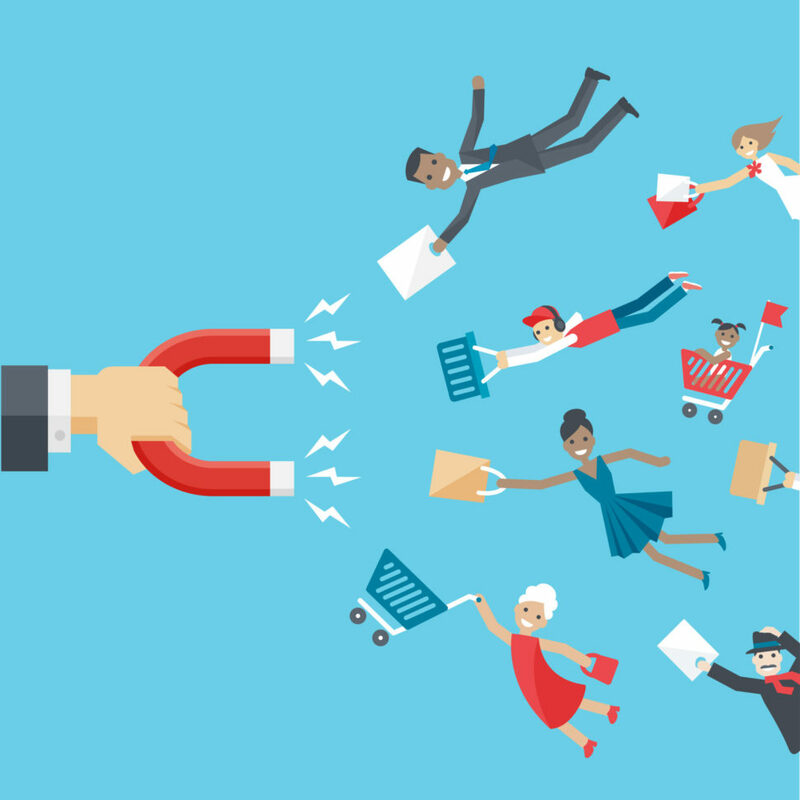 Customer retention strategies could make or break your company. Using effective social media promotion and interaction strategies can drastically boost your business. Good business is all about returning customers. Using social media as a customer retention tactic is simple and has countless benefits. In this article, we give you seven strategies for leveraging social media in order to retain customers. Many marketers focus on the chase and then forget to hold on to their prize. What’s the prize? Customers are, of course. Good customer retention strategies are cost-efficient. In fact, acquiring new customers is up to seven times more costly. What’s more, a five percent increase in your customer retention rate can increase profits by 25% to 95%. Loyal, existing customers are up to 70% more likely to buy than new customers, and they spend 31% more on average. Social media is a brilliant tool that when used right will help you easily retain your customers. It’s free, it’s fast, and it’s easy. The audience reach and customer engagement it allows is priceless. Having a loyal customer base will also have a domino effect as people are more likely to refer your business to others. Social media informs you of your customers’ wants and needs. Intently listening to your customers has two benefits. First, customers will value the high level of service. Second, you have a healthy channel for learning customer preferences. For example, Q&A sessions via live stream engage your community and keep you and the consumer informed. When you know what your audience wants, it is easier to satisfy them. If you see that someone posts a photo of your product on Instagram or reviews it on their blog, let them know! Using hashtags is an easy way to identify customers who are actively promoting your brand, products or services. When you find UGC (user-generated content), reward users for their efforts. At once, you can leverage UGC as content creation and a method of user engagement. The most obvious and beneficial aspect of social media is direct communication with your audience. There is no other medium as effective for audience engagement. Go further and optimize this engagement with personalized content. Instead of using a generic response, address customers by username and discuss their individual experience when responding to comments and messages. This level of personal interaction will show that your brand is caring and trustworthy, making your customers feel valued. Customers who feel valued are the ones who stick around. Promotions and special offers can enhance your customer retention strategies. If your customers are unable to resist your special offers, they are likely to stay with your brand. Even if they are not yet committed to your brand, this will force them to think twice before switching. Finding a niche influencer that appeals to your target audience is key to influencer marketing. The most effective influencers today exist on Youtube and Instagram. However, make sure that whoever you choose not only has a vast audience but shares your brand’s audience. We've launched a new Worldwide Giveaway w/ @pewdiepie! Enter for a chance to win an EVO15-S Thin & Light Gaming Laptop with our upcoming HD UV Textured Printing. For example, Origin PC has done more than one worldwide giveaway through the wildly popular YouTube channel and influencer, PewDiePie. This campaign incentivizes users to like, comment, share, and invite friends to join in. Instantly, Origin PC leverages the 60+ million subscribers that follow PewDiePie. Letting influencers promote your products on social media can be very effective. It helps to create your brand’s image and show that important people are interested. I’m not referring to the literal sense of the phrase. Of course, you need to be able to speak the native language of your customers. Outside of that, what I really mean is: be careful with how you interact with your customers. The tone you use to communicate will help to shape customer perception of your brand. Know your audience and speak to them in the tone that they want to hear. For example, if they are a younger demographic, they will probably respond better to less formal language. If they are business people, keep it professional. When in doubt, listen to your audience first. Take notes. Figure out how they like to communicate and follow suit. Timing is a key part of social media success. If you want to retain customers you should carefully consider the timing of your social media posts. In order for your posts to be effective, you should figure out where the majority of your audience is located. There’s no point posting unbeatable offers when everyone’s asleep. On the flipside, maximum exposure will amount to maximum active engagement. Social media gives marketers the opportunity to interact and engage with customers like never before. You can get to know your audience better while increasing brand visibility. Simply listening and responding to customers can make them feel valued and like they can trust your brand. Take this opportunity and use social media to your advantage for customer retention. It requires minimal effort but you are sure to see a huge payoff. Simple but effective. How do you use social media in your customer retention strategies?